Energizer’s Industrial® line of flashlights has proven itself time and again, being dependable and affordable lighting for a wide range of jobs. These flashlights stand up to knock downs and stay where they're put. 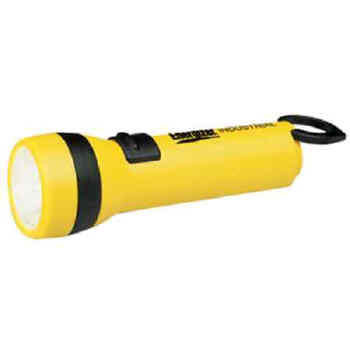 Flashlights feature an anti-roll design with a slide switch, hanger, ring, and magnetic attachment. Powered by two D-cell batteries (not included). 8 3/16" x 2 3/8". Yellow.